I've heard a few negative comments about using Savages in PRS type matches. The argument is that when running them hard they have a few issues. Stiff bolt that forces you off target when cycling the bolt. Issues with the bolt binding when running the bolt in/out. It happens when you fail to keep in/out pressure inline with the bolt body. the KSS enhanced extractor has fixed my extraction issues and the extended bolt handle has helped with the bolt. I'm pretty happy with it but don't have much to compare it to. I only noticed the bolt binding when I was looking for the problem. It does bind if I try run the bolt at extreme angles but in normal use, I've never been a problem. If It ever became an issue Ill look into buying the larger bolt body for a tighter fit. Everyone also agrees that accuracy is great and unless you're competing in PRS type matches those issues don't really matter. Anyways, I plan on sticking with my 12LRP and would love to see videos of people using them (and other Savages) in PRS matches to motivate myself and get excited with what I'll be using. Anyone have any links they can share. Maybe some pics of your PRS rifle. They don't usually say what rifle they're using in the PRS/NRL videos I've seen. If you've got the extraction issues fixed with the kit, what's left is working some magic on the bolt internals, primary extraction and hand-off timing. There are various sources for information on how to go about doing this yourself if your shop is reasonably well equipped, and there are some gunsmiths who can time and true your action for you. Otherwise, use the search function above and type in what you're interested in . I prefer extended bolt handles, and have purchased a Savage Tactical bolt handle or two and it does help with bolt opening and extraction, as do the aftermarket handles, some of which are very nice to look at. Refining the operation of the bolt internals as well as the primary extraction has, in my experienced, yielded the largest amount of improvement when it comes to cycling the bolt quickly and easily. Also be sure the magazine lips are not rubbing against the bolt head as it travels aft, and that the raceways are at least somewhat smooth. If you have a stainless steel action, this tends to be less of a problem. A rear baffle/bolt handle primary extraction ramp that is a mis-match with the bolt lugs coming out of the abutments will cause all sorts of headaches, but is usually easy to resolve. If you've replaced the bolt handle, you will have changes this timing, so beware and be prepared to make some adjustments. Others here will have some ideas to share also. Thanks Texas10. I'm not even sure the "stiff" bolt and binding will be an issue. But I know its a common complaint. I'll be paying more attention to it as I run it hard at the range next trip to see if it makes follow up shots or cycling slower. I think it feels pretty good at this point. I had a look at the raceway and it could probably use a good polishing. I'll get that done and see what that does. I'd really like to see some videos of Savages in action at PRS/NRL events. Post em if you got em folks! Get on Youtube and watch the videos on the NRL by Conex Media. I will say I fought with all the issues you mentioned for about 6 months worth of shooting PRS matches in the beginning before I finally broke down and built a custom rifle. My scores instantly went up when I no longer had to fight to get the next round in the chamber. Like you my Savage rifles (I had built 6 at the time) had 0 accuracy issues, but the feeding, ejection, and extraction issues were rampant. So, if you come across a Savage action that runs, hold on to it! I've seen them out there, but they are few and far between in my observations since i started competing back in 2014. The tighter bolt body does help with the binding, but it also means less space for dirt and debris which means a little bit of sand and it's going to hang right up (I tried that too). In the end I sold all my Savages to build and scope a custom rifle. I lost money on everyone of the rifles I had built and would have been money ahead had I just went to a custom in the beginning. I don't hate Savages by any means, but having the right tool for the job helped a lot. Don't dump a bunch of money into the LRP trying to get it to perform, focus on the shooting and when you're ready just go ahead and upgrade. My brother finally upgraded from his Savage LRP to a Defiance action after shooting the Savage for 4 years in PRS. He did really well in his local matches, but only middle of the pack at the Heatstroke. He figures the Defiance should net him an extra 10+ points from some of the small things and the speed of cycling. 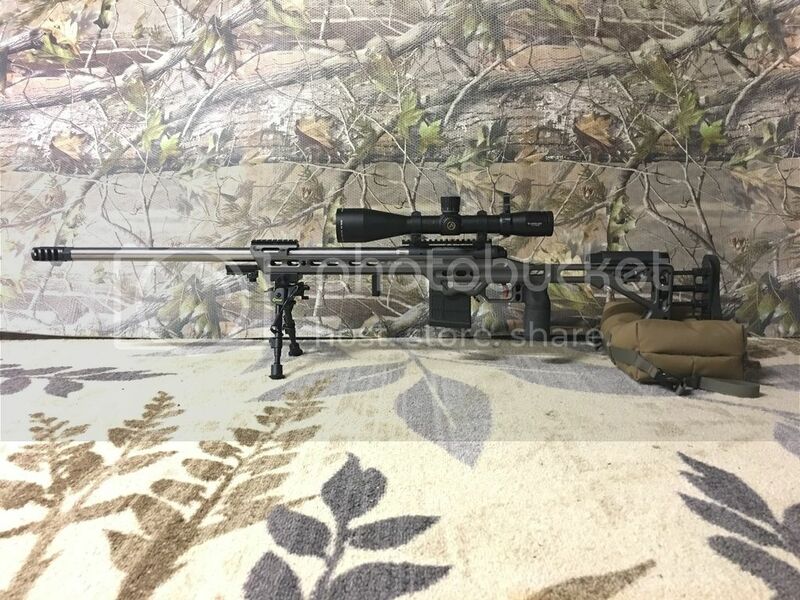 He also started with a 260 then to 6.5x47 Lapua then to a 6.5 Creedmoor... now he is a 6.5 Creedmoor fan boy and his 3rd 6.5 Creedmoor barrel is going on his Defiance. My brother is in the background of a video of the 2017 Heatstroke open in Oklahoma. It is hard to tell, but he is carrying a Savage. Maybe in there somewhere, but I can't tell. Ideally I'd like to see a guy running it hard. I run a savage in PRS. Granted, I'm just running 3 local matches a month, not every weekend like the pros. But, built correctly by someone who knows the pickadilleys of savage and they'll run just like the others. I love it. Only 3 our of 4 weekends. You're almost there. You can do it. :). So what do you run? Action/Stock/Bolt/Barrel/Break? And, I think Pickadilleys is my new favorite word. I will hit 4 this month (2 day the 27/28th). I own a gun shop which hosts NRL22 matches and teach CCL classes on the weekends. So getting away every single weekend is impossible, especially in the summer months. M12 action, factory target model trigger, Shilen barrel, MPA chassis and brake, Warne base and rings, Athlon Ares ETR scope. I'm blessed to have apprenticed under an awesome gunsmith back in the middle '90's, who shot 1K BR. So, he showed me a thing or two along the way. The below action was trued and the barrel spun up from a blank in my shop. I ran this Model 12 with GRS Sporter stock in my first ever PRS match last weekend. Only unbraked 308 in the match lol. I ordered a KRG 180 Alpha for the 2 day match in June. Ill be shooting this again in the April 27th Saprl match. It would be nice if they made actual 10rnd mags for savages!! I would have scored another 4-5 points if I had a proper 10rnd mag.